OneMind Dogs method is under constant development. We want to keep thinking outside the box, exploring different ways of doing things, and not get stuck in a certain way. Keeping an open mind, and having a hunger for learning, is one of our main values. Since we launched the OneMind Dogs online service in 2013, we’ve learnt a lot more from the ones who know the method the best: dogs! It became necessary to update some of the OneMind Dogs Handling Technique videos, and so we did! What’s new on the Reverse Spin video? We’ve added some new video clips, and updated the texts in the elements section. 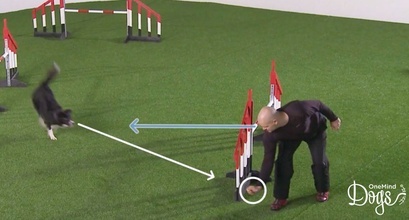 There are more examples of different kinds of Reverse Spins! 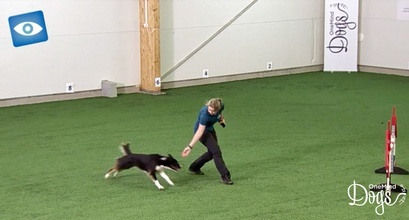 In the short course about Reverse Spin you can find the newly updated Introduction to Reverse Spin video, as well as an online seminar video where you can hear Leading Coach Jaakko Suoknuuti explain how you can control your dog’s line after a Reverse Spin, with three elements in your handling.